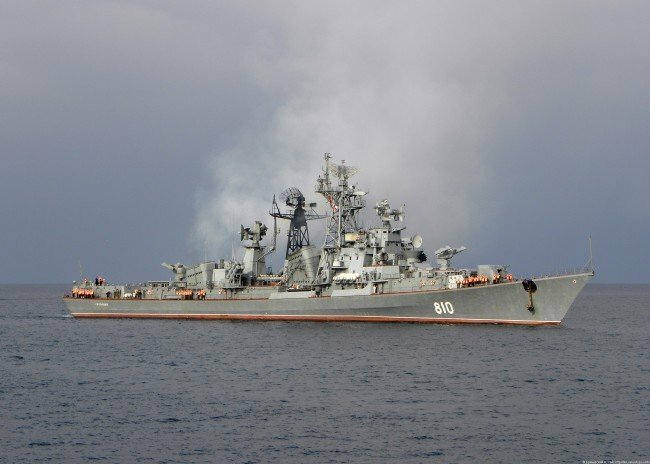 A Russian warship fired warning shots at a Turkish fishing boat in the Aegean Sea to avoid a collision, the Russian defense ministry announced in a statement. According to the statement, the Turkish vessel approached to 1,800ft before turning away in response to Russian small arms fire. The captain of the Turkish boat said he was unaware that his vessel had been shot at. The Turkish military attaché in Moscow has been summoned to the foreign ministry over the incident. Relations remain tense between Turkey and Russia since Turkey’s shooting down of a Russian warplane. “We are not in favor of tension,” Turkey’s Foreign Minister Mevlut Cavusoglu was quoted as saying after the incident. The captain of the Turkish vessel told Dogan news agency he did not realize his boat had been shot at. “We were not aware that they had fired shots at us,” Muzaffer Gecici said. In November, a Russian Su-24 aircraft was shot down by two Turkish F-16s in the Turkish border-Syria area. Turkey maintained the plane had crossed into its airspace, although Russia disputed this. Last week, Turkey complained over what it said was a sailor on a Russian naval ship brandishing a missile launcher as the vessel passed through Istanbul. Russia rejected the criticism, saying the crew had a “legal right” to protect the ship. In the latest incident, Russia’s defense ministry said its destroyer Smetlivy was anchored just off the Greek island of Lemnos on December 13 when it spotted the Turkish fishing boat heading towards it some 1,000m away. “Despite numerous attempts by the crew of the Smetlivy, the crew of the Turkish fishing boat did not make radio contact and did not respond to visual signals by semaphore or warning flares,” the ministry said in a statement. To prevent a collision, “small arms were fired in the direction of the Turkish vessel from a range that is not lethal”. The ministry said that “immediately after that the Turkish vessel drastically changed course” and passed within 1,800ft of the Smetlivy, still making no contact with the Russian crew. Russian military vessels are involved in Russia’s intervention against rebels in Syria. President Vladimir Putin described as a “stab in the back” Turkey’s downing of the Russian bomber and has imposed economic sanctions. Turkey’s Foreign Minister Mevlut Cavusoglu warned on December 11 that Ankara’s patience with Russia was “not unlimited”, and accused Moscow of using “every opportunity” to punish Turkey for the downing of the plane.